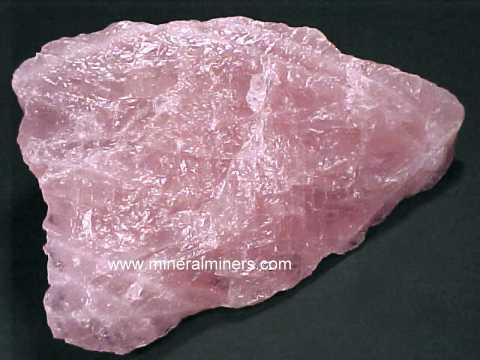 Try our Rose Quartz Lapidary Rough Satisfaction Guarantee - compare our prices and our superior quality. Click on any rose quartz lapidary rough image below to enlarge it. This natural rose quartz piece was roughly ground and polished on all surfaces, and then it was base-sawn so that it stands up in the position shown. It is semi-transparent with natural rose-pink color. This natural rose quartz piece was roughly ground and polished on all surfaces, and then it was base-sawn so that it stands up in the position shown. 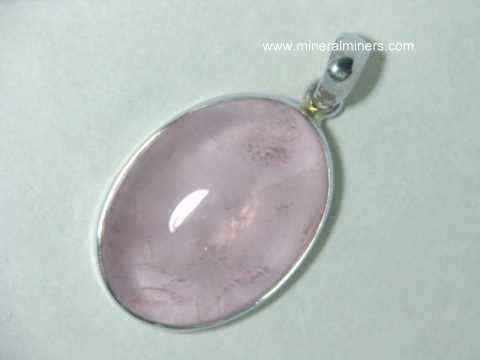 It is semi-transparent with very nice natural lavender-pink color. This natural rose quartz piece was roughly ground and polished on all surfaces, and then it was base-sawn so that it stands up in the position shown. It is translucent to semi-transparent with beautiful natural lavender-pink color. This natural rose quartz piece was roughly ground and polished on all surfaces, and then it was base-sawn so that it stands up in the position shown. It is translucent to semi-transparent with natural lavender-pink color. Rose Quartz Dimensions: 4.9" x 3.1" x 3"
This rough chunk of lapidary grade natural rose quartz is translucent to semi-transparent. It has light pink natural color. This rose quartz mineral specimen is completely natural with no treatments of any kind. Rose Quartz Dimensions: 6.2" x 4.5" x 3.2"
This rough chunk of lapidary grade natural rose quartz is translucent to semi-transparent with areas showing superior translucency suitable for making gemstones. It has light pink natural color. It is completely natural with no treatments of any kind. Rose Quartz Dimensions: 5.4" x 5.2" x 3.5"
This rough chunk of lapidary grade natural rose quartz is translucent to semi-transparent. It has medium rose-pink natural color. 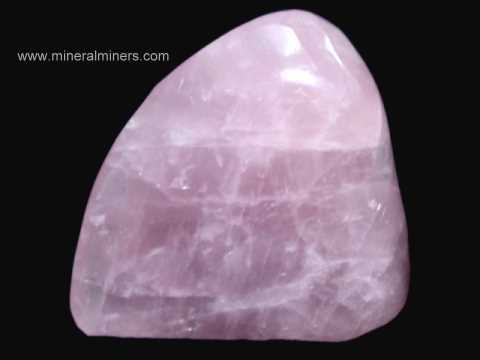 This rose quartz mineral specimen is completely natural with no treatments of any kind. Rose Quartz Dimensions: 6" x 3.3" x 3.2"
This rough chunk of lapidary grade natural rose quartz is translucent to semi-transparent with superior translucency suitable for making cabochon gems. It has light pink natural color. This rose quartz mineral specimen is completely natural with no treatments of any kind. Rose Quartz Dimensions: 5.4" x 4.6" x 3.4"
This rough chunk of lapidary grade natural rose quartz is translucent to semi-transparent with areas showing superior translucency suitable for making cabochon gems. It has medium pink natural color. The back side has white cloudy areas. This rose quartz mineral specimen is completely natural with no treatments of any kind. Rose Quartz Dimensions: 6.5" x 4.5" x 4.2"
This rough chunk of lapidary grade natural rose quartz is translucent to semi-transparent with areas showing superior translucency suitable for making cabochon gems. It has light to medium pink natural color. The back side has white frosty surfaces. This rose quartz mineral specimen is completely natural with no treatments of any kind. Rose Quartz Dimensions: 7.5" x 6" x 3.5"
Rose Quartz Dimensions: 7.2" x 4.3" x 4"
Rose Quartz Dimensions: 6.5" x 6.5" x 2.8"
This rough chunk of lapidary grade natural rose quartz is translucent to semi-transparent. It has medium red-pink natural color. 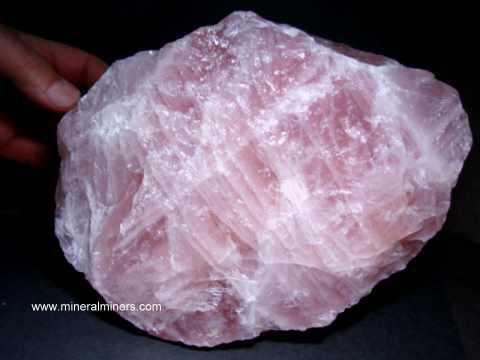 This rose quartz mineral specimen is completely natural with no treatments of any kind. Rose Quartz Dimensions: 6.8" x 6" x 4.7"
This rough chunk of lapidary grade natural rose quartz is translucent to semi-transparent. It has light to medium pink natural color. 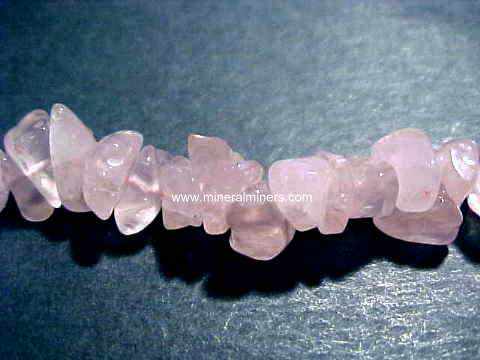 This rose quartz mineral specimen is completely natural with no treatments of any kind. Rose Quartz Dimensions: 6.4" x 4.7" x 4.5"
This rough chunk of lapidary grade natural rose quartz is translucent to semi-transparent with areas showing superior translucency suitable for making cabochon gems. It has light to medium pink natural color. 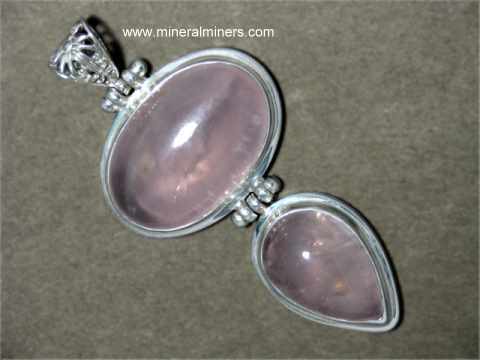 This rose quartz mineral specimen is completely natural with no treatments of any kind. Rose Quartz Dimensions: 6.8" x 5.3" x 4.6"
This natural color rough chunk of lapidary grade natural rose quartz is translucent to semi-transparent with areas showing superior translucency suitable for making cabochon gems. It has a blocky shape with light to medium pink natural color. This rose quartz mineral specimen is completely natural with no treatments of any kind. Rose Quartz Dimensions: 8.1" x 6.2" x 4.2"
Rose Quartz Dimensions: 8" x 6" x 5.7"
This natural color rough chunk of lapidary grade natural rose quartz is translucent to semi-transparent with areas showing superior translucency suitable for making cabochon gems. It has medium reddish pink natural color. 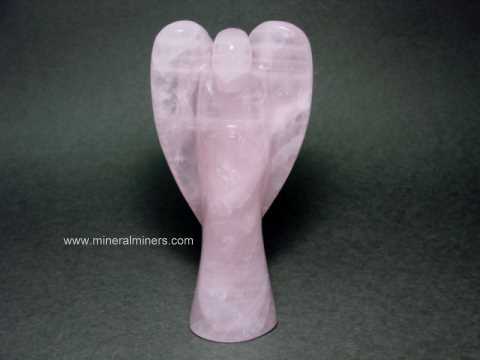 This rose quartz mineral specimen is completely natural with no treatments of any kind. Rose Quartz Dimensions: 9.2" x 7.2" x 6"
This large size rare quality rough chunk of lapidary grade natural rose quartz is translucent to semi-transparent with areas showing superior translucency suitable for lapidary use. It has areas with beautiful medium pink natural color. This rose quartz mineral specimen is completely natural with no treatments of any kind. Rose Quartz Gem Rough Dimensions: 1.3" x 0.7" x 0.5"
This rose quartz rough piece has natural asterism with rare gem-grade transparency inside. It would yield faceted gems or cabochons. 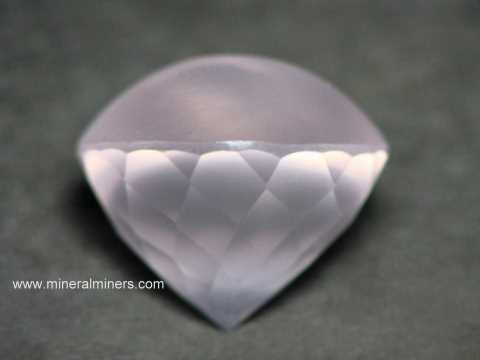 Rose Quartz Gem Rough Dimensions: 1.25" x 1.25" x 0.8"
This rose quartz rough piece has natural asterism with a large area of rare gem-grade transparency inside. It would yield faceted gems or cabochons. Rose Quartz Gem Rough Dimensions: 1.6" x 1.3" x 1"
Rose Quartz Gem Rough Dimensions: 1.6" x 1.4" x 1"
Our Rose Quartz Lapidary Grade Rough Specimens are 100% Natural Rose Quartz! 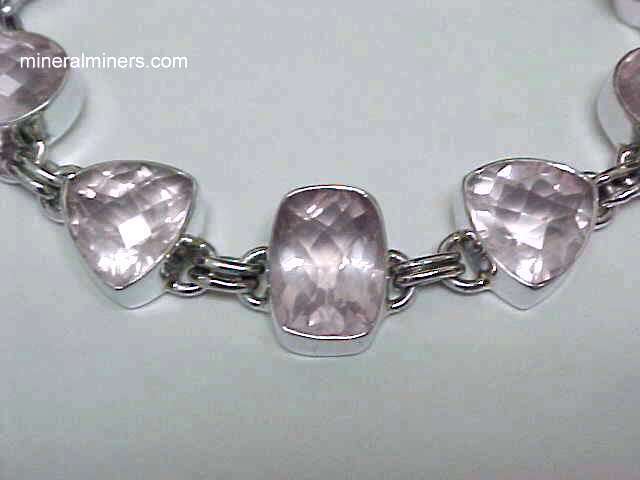 We also have a selection of genuine rose quartz jewelry designs available in pendants, necklaces and bracelets. Information about genuine rose quartz and its history, physical properties, chemistry, occurance, and metaphysical uses is displayed on our rose quartz information page. 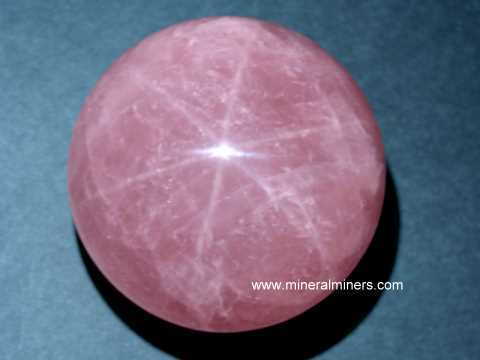 To see more rose quartz photos, just select another linked image displayed below. 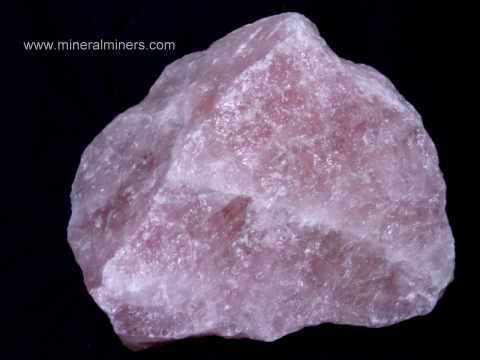 We have a large selection of genuine rose quartz products available - all with 100% natural color. 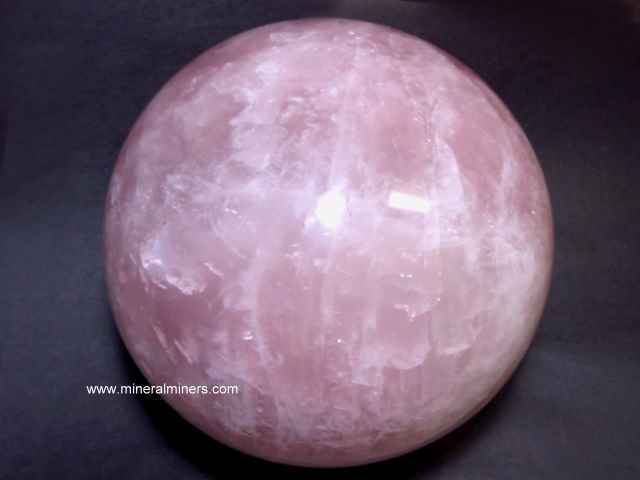 We specialize in Collector Quality Rose Quartz! We specialize in natural untreated rose quartz! 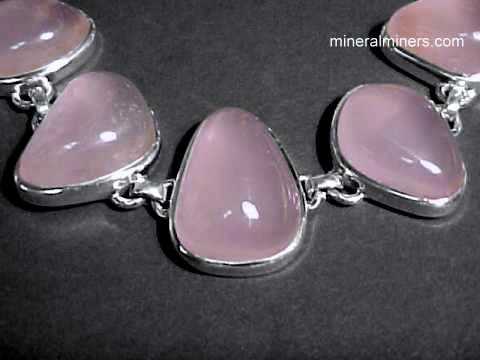 Would you like us to inform you when we add more pieces of natural color rose quartz lapidary rough on this page?